Oral health care should be given to children at a very early time even to babies who do not have their milk teeth yet. Dental experts encourage parents to provide oral care to their children from infancy especially when they already get their first milk tooth or as soon as they turn 1. This is the best time, according to dentists, for children to begin with their first dental visit. And for all of your child’s oral health care needs, you should be seeking the professional help of a pediatric dentist. A pediatric dentist is the one who has the experience and the qualifications to be able to give professional dental care to children. The oral health care pediatric dentist can provide involve the care for a child’s teeth, gums and other supporting tissues in the mouth. Pediatric dentists can be your child’s best friend when it comes to their oral health from infancy throughout adolescence. He can help your child get the protection they need against oral health conditions that can result in long term problems and lifelong complications. Many families are used to bring their children to the same family dentist that provides oral health care to all the members of the family but, if you bring your child to a pediatric dentist, you can be assured that your child will be receiving a special care that others cannot give, not even a general dentist. There are certain conditions, concerns and issues specific to children that only pediatric dentists can successfully handle. 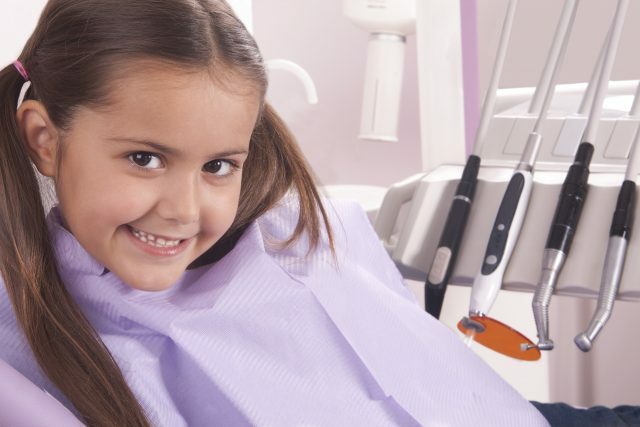 Bringing your child to a dentist is something that’s not very easy to do considering that they have anxiety and fears of the treatments, the experience and even the tools that are used. Children are hardly cooperative during their appointments which is why they need a specialist who can be extremely patient with them and that is your pediatric dentist. They use special techniques and tricks that can make children feel comfortable and less worried during the procedure. They also use the equipment designed for children so that they can effectively provide quality care to your child’s oral health. As soon as your child gets their first milk tooth or after your child’s first birthday, you can already bring them to a pediatric dentist. By doing this, you will be able to detect early signs and indications of potential health problems like tooth decay, and cavities. If any problem will be diagnosed, the dentist will be able to administer treatment as early as possible to prevent the problem from leading to an advanced stage. How do you provide proper home care to your child? Children are not exempted from oral health problems and infections. And because they are children, they also rely on adults to help them take care of their teeth. What you can do to help them is to teach them and help them develop good oral hygiene habits that they can bring until they grow up. You can teach them the proper ways to brush their teeth and make sure they are constantly reminded on how they frequent they should be doing it. And of course, you are the one who decides when to bring them to a pediatric dentist so when you do so, remember that you are doing your child a favor in making sure that you are on top of their oral health.